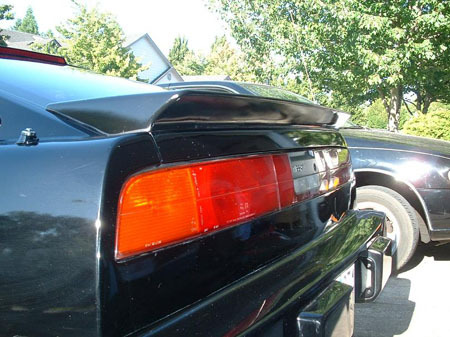 If you have a 1984-1985 or 1987- 1989 Non turbo you know that a Rear Spoiler was not available. A nice addition to a non- turbo z is to add the Turbo Spoiler to your Z. 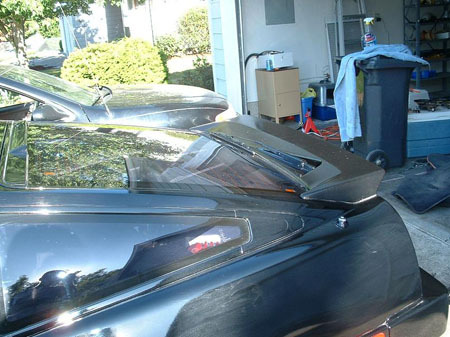 The first thing you may want to do is to clean up your Spoiler. 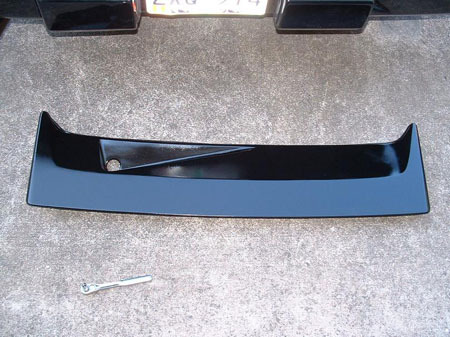 If you have a 1984-1985 spoiler it is made of a foam rubber with a metal supporting structure. 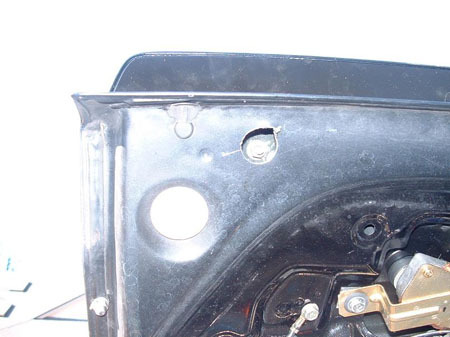 The 1986 model are fiberglass and have a 3rd brake light built in so wiring will be needed. 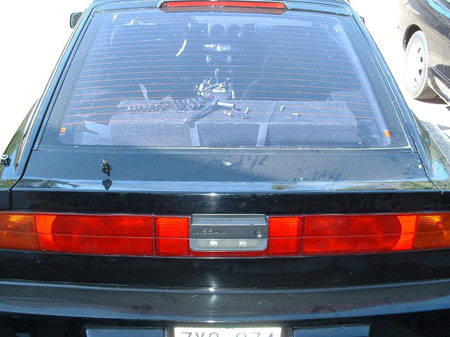 The 1987-1989 model spoiler are also fiberglass but do not have the brake light built in. The only 2+2 with a spolier in the US was the 86 model. They will fit all other year 2+2 cars. 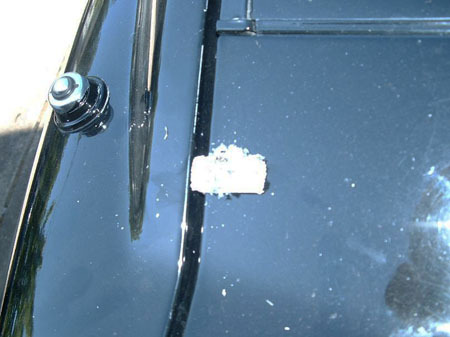 To locate the holes to drill, roll small pieces of duct tape on each stud of the spoiler. Doing this will transfer the tape on to the hatch lid and also leaving small little circle indentations of exactly where to drill the hole. Carefully center punch the location and then drill the holes. 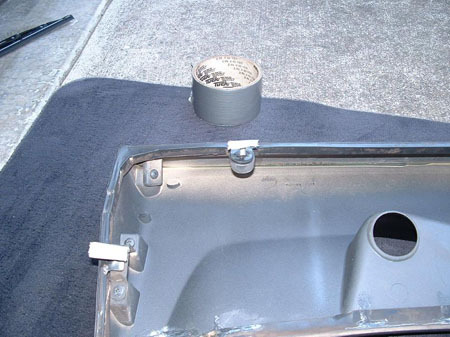 On the underside of the hatch you will need to also drill two 5/8 holes to access the two inner studs. Tighten the spoiler down and enjoy.